RUSSELL G. BREGMAN, CPA, CVA is a Business Valuation and Litigation Support Services Director with the firm of Dembo, Jones, P.C. He is a member of the American Institute of Certified Public Accountants, the Maryland Association of Certified Public Accountants and the National Association of Certified Valuators and Analysts. He is also a member and serves on the Board as Teasurer of Howard County Collaborative Professionals. Mr. Bregman also serves and has served as a Board Member of various business and community organizations. Mr. Bregman holds a B.S. degree and Honors B.S. degree in Accounting Science from the University of South Africa. In his 22 years of professional practice, Mr. Bregman has acquired extensive experience in numerous industries and with a variety of tax and legal entities. Mr. Bregman has assisted clients and their counsel in gift and estate planning, ESOPs, succession planning, and litigation matters. He has also provided expert witness testimony in matters regarding business, domestic and shareholder disputes. 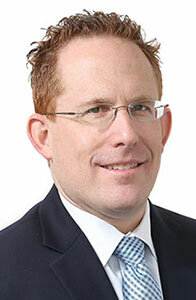 Mr. Bregman has been trained in mediation and the Collaborative Divorce process and has had extensive experience in tax, financial and accounting aspects concerning divorce matters. Currently, he spends a significant amount of his time assisting attorneys in this area.